While researching singer Amos Lee to prepare for my interview, I stumbled upon two interesting items that piqued my curiosity. The first was on Wikipedia where it said Amos Lee was born with the name Ryan Massaro. The second was on JamBase.com where a review stated, "A local R&B band Amos Lee opened the show ... the trio behind singer Ryan Massaro ... The vocalist's unsteady stage manner." What first went through my mind was a "Hootie" situation -- everyone thinks Darius Rucker's name is "Hootie." Perhaps the singer was so often referred to as "Amos Lee" that he decided to take on the monicker and never looked back. I had to ask. Roughly 15 minutes into our 20 minute phone conversation, I brought up the JamBase review, referring to his comfort level. Lee, by phone from a tour stop in Pittsburgh explained that he's gotten more at ease on stage over the years. A former teacher who spent time in front of a smaller audience in that respect, Lee says the two don't quite compare. "What it is more than anything, man, is when you're teaching, it's a very specific thing," he says. "You're trying to get 30 people to understand a concept. When you're performing, it's more of an emotional thing. It's not as cerebral. You're not trying to connect intellectually as much as you're trying to connect emotionally. It's much more abstract. I wouldn't say I was the best teacher though ..."
Born in 1978, Lee attended the University of South Carolina in 1995 and earned an English degree before moving to Philadelphia where he was an elementary school teacher for a number of years. He did some songwriting on the side and played open mic nights when he could. Eventually, he decided to give music a shot full-time, taking his soul-folk style to the masses. "Teaching, for me, it was like -- wake up at 6 in the morning and go home at 7 o'clock at night kind of thing," he says. "I had no energy to do music. So, what I said to myself was, 'I'm gonna give this a couple years and try to put myself out at gigs and open mics and see where it goes. If at the end of two years, nothing happens, I'll go back to teaching and continue to write songs and play as much as possible.' It's taken on a life of it's own and so I'm following it." He says he learned a lot from those open mic nights, as many who participate in them do. Playing small coffeehouses, musicians offer feel like part of a small community with a common goal. "That was a great time for me," Lee says. "The camaraderie of musicians at the open mics and the cast of characters that would make it out to them. Everybody was on the same idea of showing up to open mics every night and playing our songs. It was a real communal kind of thing." Lee's first two albums have sold roughly half-a-million copies and his third disc, Last Days at the Lodge, was released in June of this year. Lee used a handful of well-known musicians to help out on the album -- Doyle Bramhall Jr., Spooner Oldham and Pino Paladino among them -- but says his touring band is more relaxed. "We try to keep some of the integrity of the recording, but put as much possibility as we can in the arrangement," Lee says. "My live band is a lot looser. We kind of take twists and turns with the songs. My live band knows me really well and they know when to follow when a song is gonna take on a different personality. They're just a solid group of guys who enjoy playing the music, so it's great to be with them." Lee says his goal when recording the album was to make songs that would be enjoyable to perform live. "Making records is cool, but touring's where it's at," he says. He also thinks his singing is better on this record than on past efforts. Another thing that has changed is his writing. Lee has become less inclined to write autobiographical songs, instead playing the part of a storyteller and focusing on characters. In keeping with the biographical subject, my interview circles around to Lee's past, asking if he talks about the name change. His response is what was expected. "It's not that interesting to me, so I don't really ... there was no real rhyme or reason for it," he says. When I ask my next question about him possibly taking on his former band's name as his own, it's met with silence. A brief, uncomfortable silence. So, who is Amos Lee? Maybe it doesn't matter what the story is. Lee is a talented singer-songwriter who left a teaching career and given name to entertain the masses with heartfelt, solidly-written music. Isn't that what's important anyway? One thing is for sure -- Lee is enjoying the ride. "There are times when it's not great, but to have an opportunity to do something you really care about with a bunch of people that care about the music, too," he says. "You can't really ask for much more." 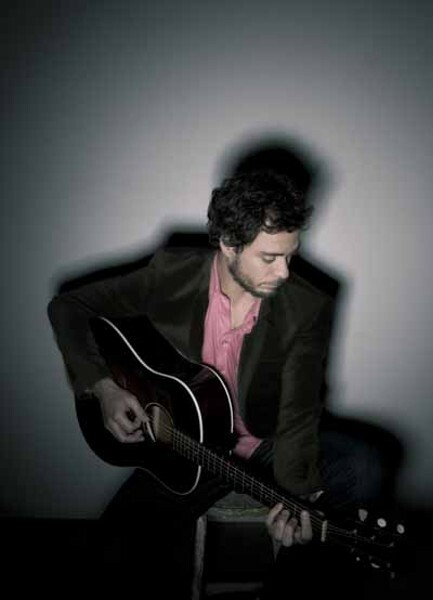 Amos Lee will perform at 8 p.m. at the Neighborhood Theatre on July 30, with Dayna Kurtz opening. Tickets are $22 in advance and $25 on the day of the show.